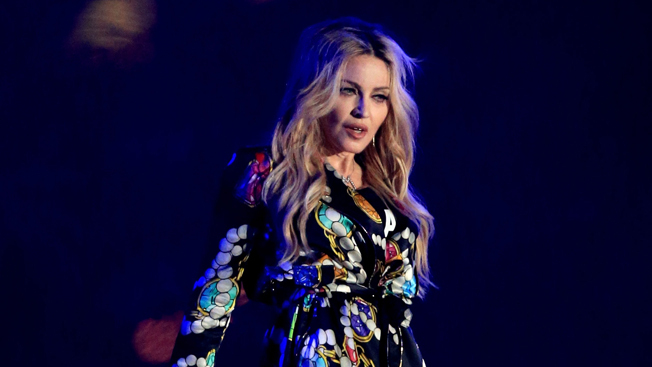 CANNES, France—When you're selling Madonna tickets gay-dating app Grindr would seem like a good place to start, given the pop star's popularity within the LGBT community. That was Live Nation's thinking when promoting her upcoming Rebel Heart tour, and, as it turns out, the it was spot-on. The Beverly Hills, Calif.-based company today revealed that it bought ads on the mobile app, and they wound up being one of its biggest sales drivers. It's no small thing to measure the effect of mobile ads, but Live Nation credits its use of Facebook ad technology with helping uncover the connection. Live Nation used Facebook's Atlas ad platform to manage its digital marketing, and the two tech players discussed how it went during a talk at the Cannes Lions International Festival of Creativity. Facebook was showing off its ability to report on mobile ads, something that has been a vexing problem for much of the industry. "The consumer shift to mobile and cross-device engagement has completely upended decades of accepted wisdom about our audiences—not only who they are and how best to reach them but the ways in which various media messages can influence an individual's decision to purchase or ignore," Facebook and Live Nation said in the announcement today. Tracking mobile behavior is not like it is on desktop, because there are no cookies—packets of data that track online activity—in apps. Facebook uses its own mobile-data tools to understand people's Web-browsing habits on phones. It's called a people-based system, because Facebook relies on the actual identity information the social network gets from people logged into the service across devices. So when a user sees an ad in an app but makes a purchase on a computer, Facebook can credit the mobile ad with the sale, not just the last click that the consumer happened to make. Live Nation said this is particularly important with ticket sales, because concertgoers often buy tickets and look for seats on desktop computers, even if they saw an ad elsewhere. Now, the company says it can finally measure the effect the mobile campaigns are having. "A post-campaign analysis revealed that by using Atlas, Live Nation was able to tie a whopping 66 percent increase in purchases back to mobile—a sales attribution that would've otherwise slipped through the cracks using cookies alone," the joint announcement from the companies said. That means that mobile ad recipients bought 66 percent more tickets than consumers not exposed to those ads. "If Live Nation had served those ads using a standard third-party platform instead of Atlas, the final analysis would've reported zero tickets sold," the companies said.